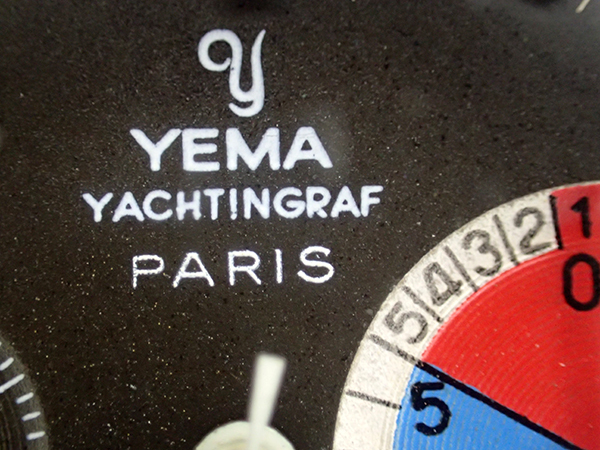 Yema – a wellknown brand in France, got a eventful history with some take-over. 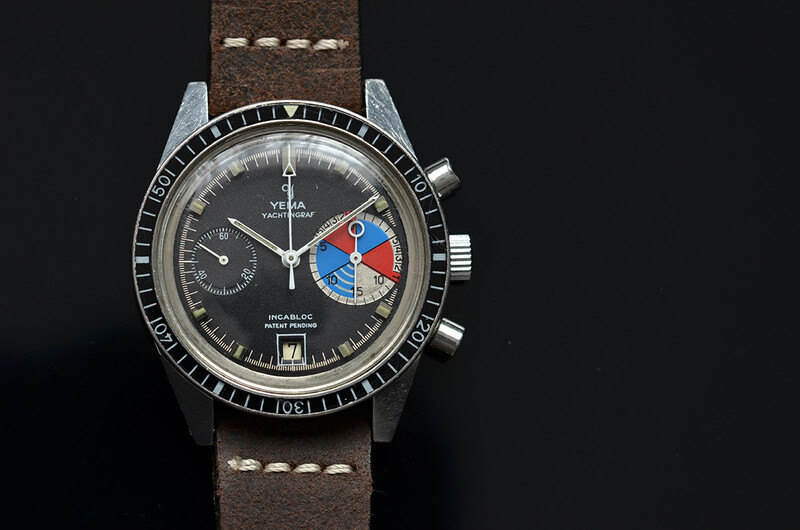 In the 60s Yema produced 300.000 watches per year. 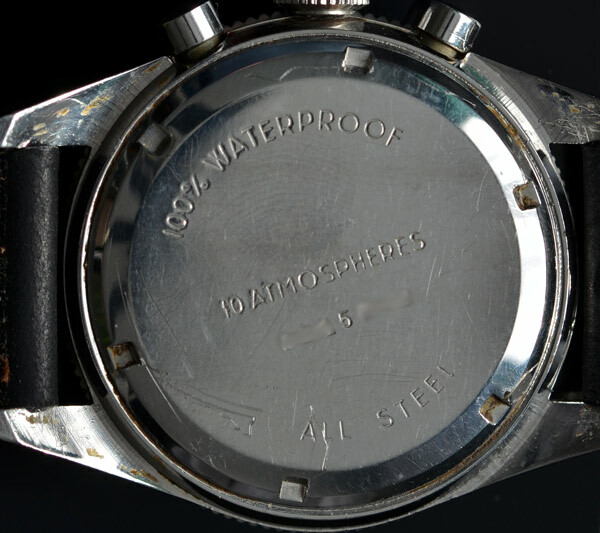 1963 was launched the “Superman”, a 300m water-resistant Watch for professional diver. 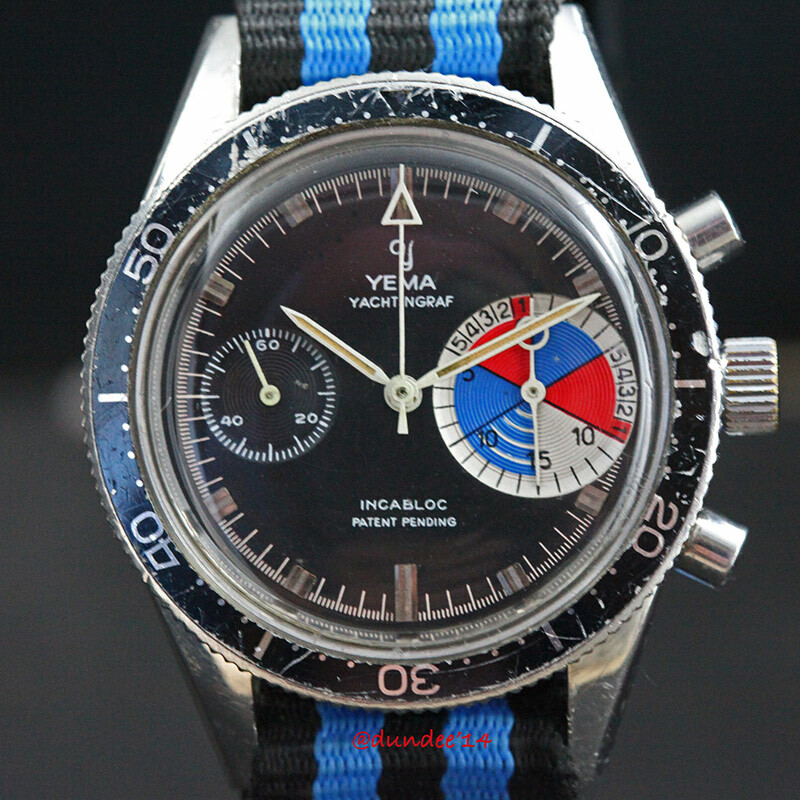 1966/67 sold about 400.000 Yema watches. 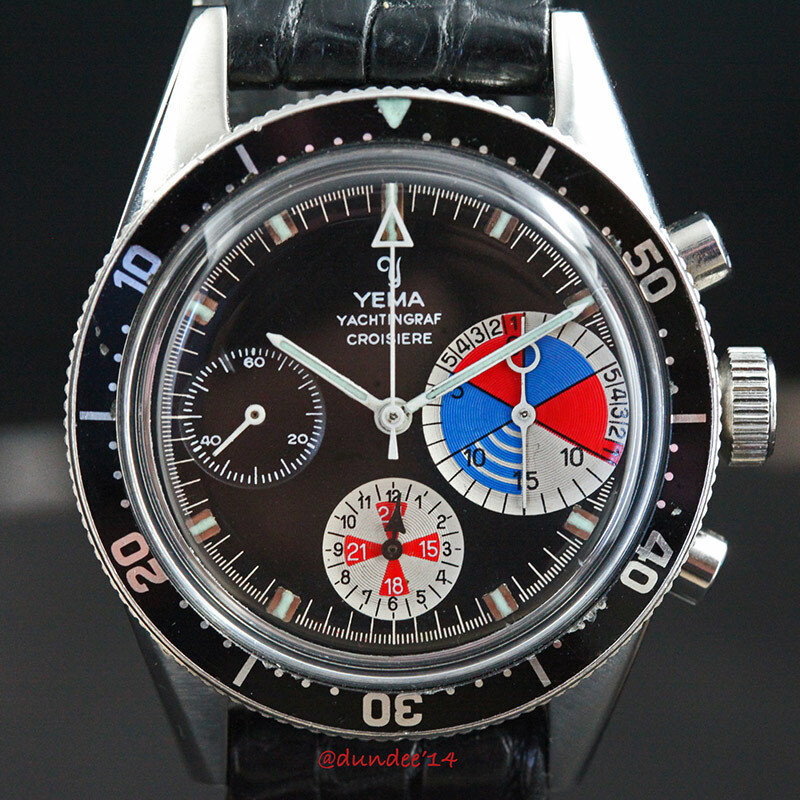 1968 they constructed the 200m water-resistant Yachtingraf, with Valjoux movement. 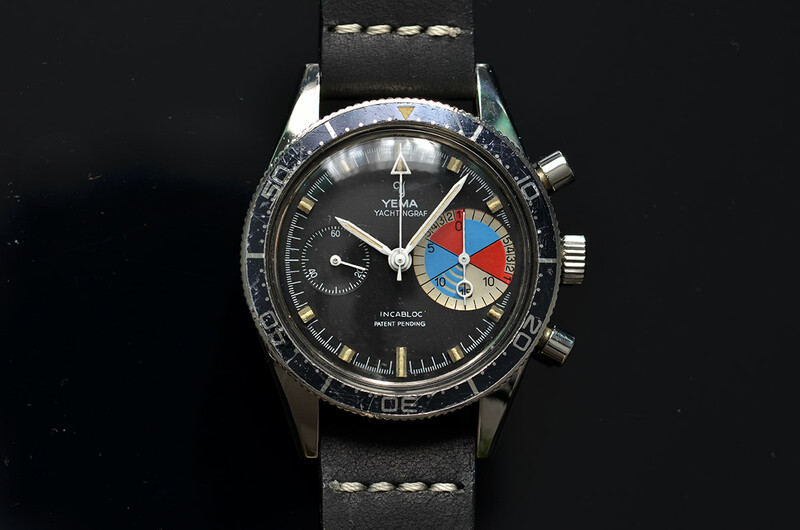 The company still exist in other hands till today and produced Yachting watches with Quartz movement in the 80s till now. 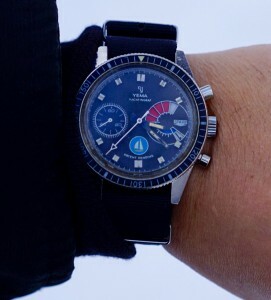 The Team of the Americas Cup (Marc Pajot, 1991) took the time with Yema watches for example. 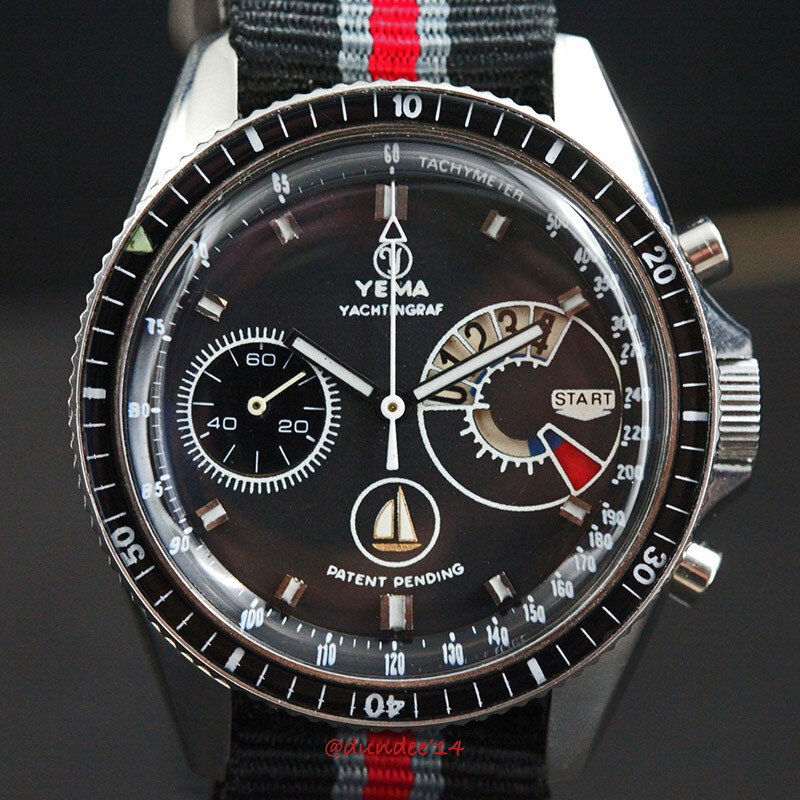 But here is the overview of the Yachtingraf watches with real movements. Feel free to send all comments, facts and things about them if you can add some information please! 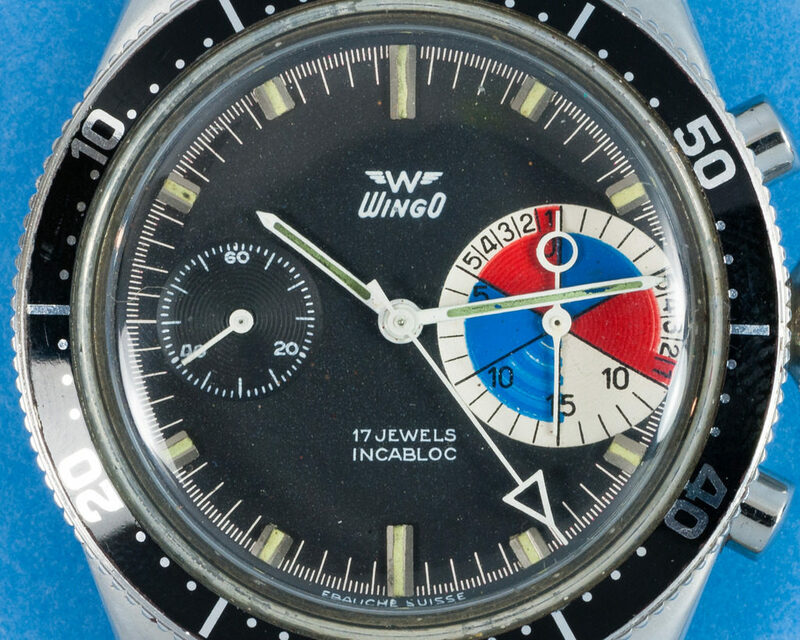 Here are some pictures including the 6th model with Valjoux 7733S and the “Jumbo-Version” of it – the blue ship over the 6 makes the difference to the 6th. 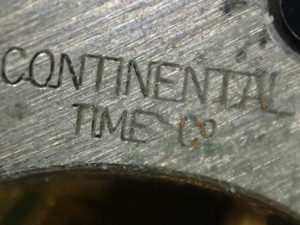 Some dials are known with different brands printed on. 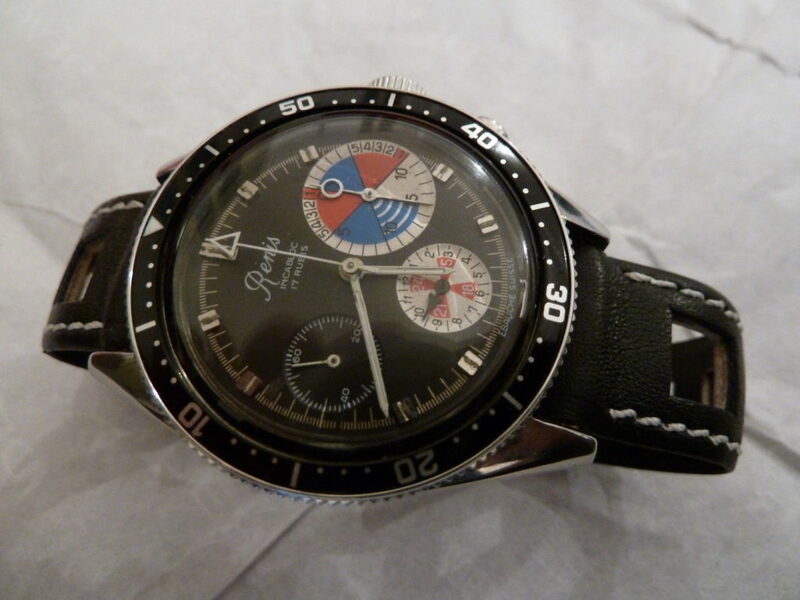 Interesting one found on eBay in Uruguay – Yachtingraf with brand LIDER. 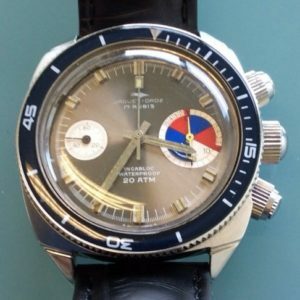 Serial doesn´t fit in the line of 2compax Yachtingrafs. 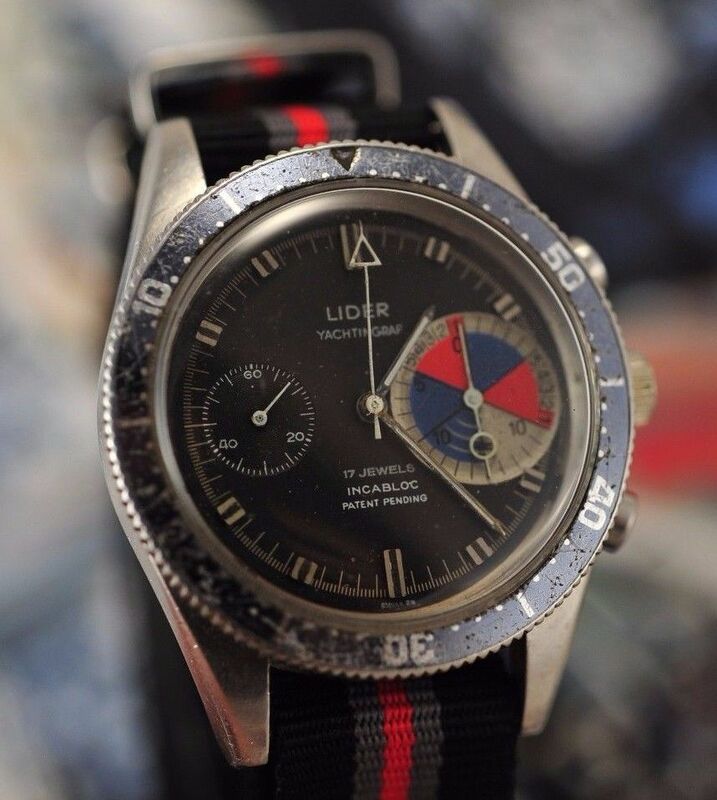 Lider seems to be a brand of Borel Fiels & Cie. SA from Neuchatel, Switzerland or Montres Leader SA. Keep on research. 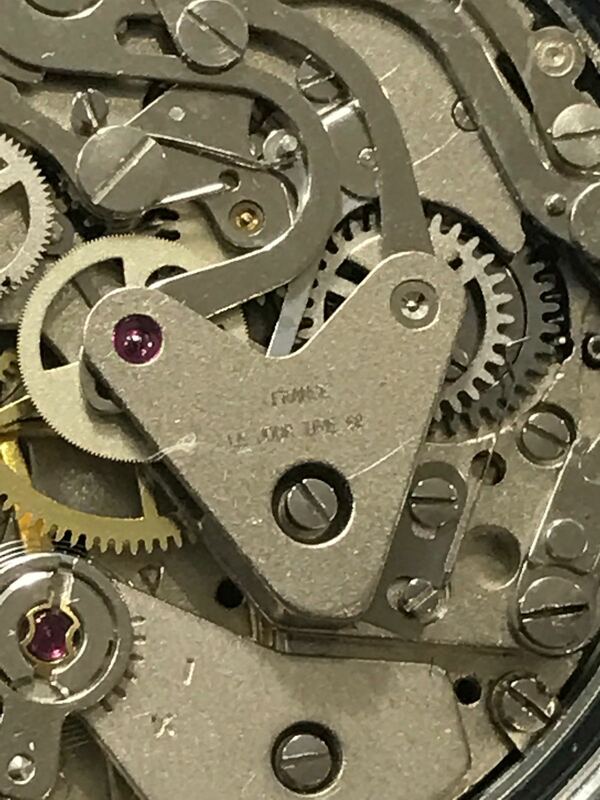 Bridge is unsigend, number inside caseback says 93012. 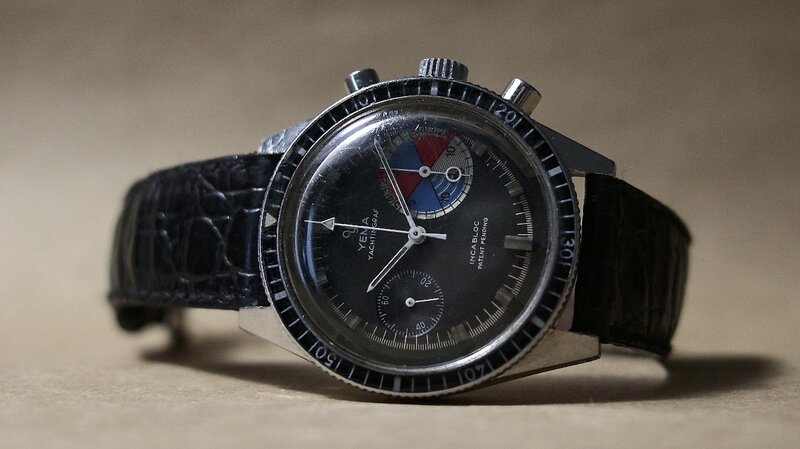 This one was found by Mark. 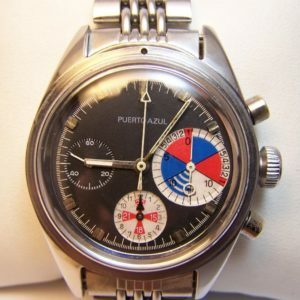 Another eBay find is a Croisiere with brand RERIS. Never heard, never seen. 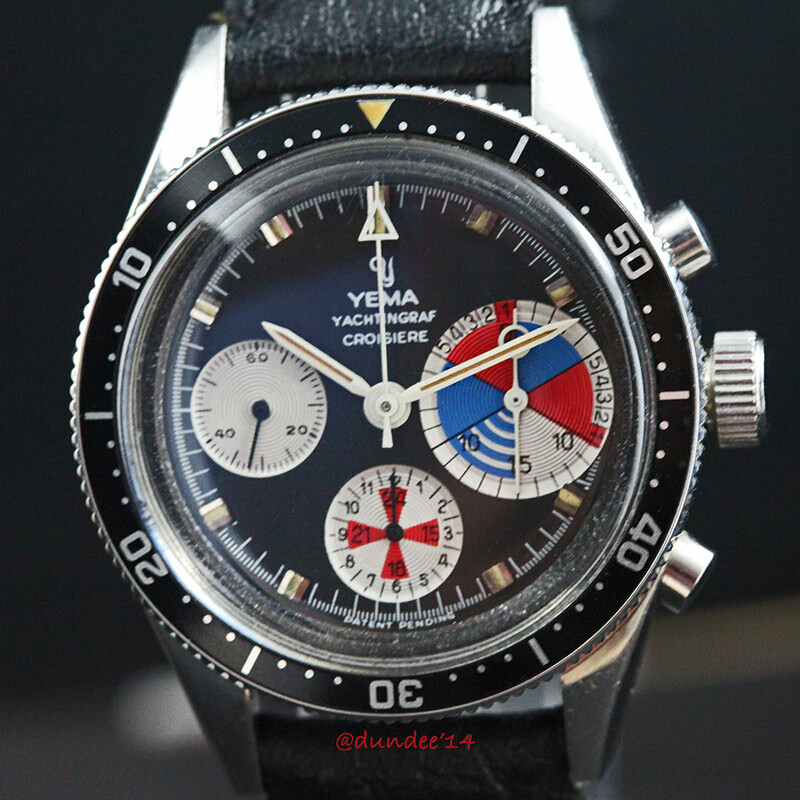 Another one popped up on Chronotrader this year branded with WINGO, driven by a Valjoux 7730. 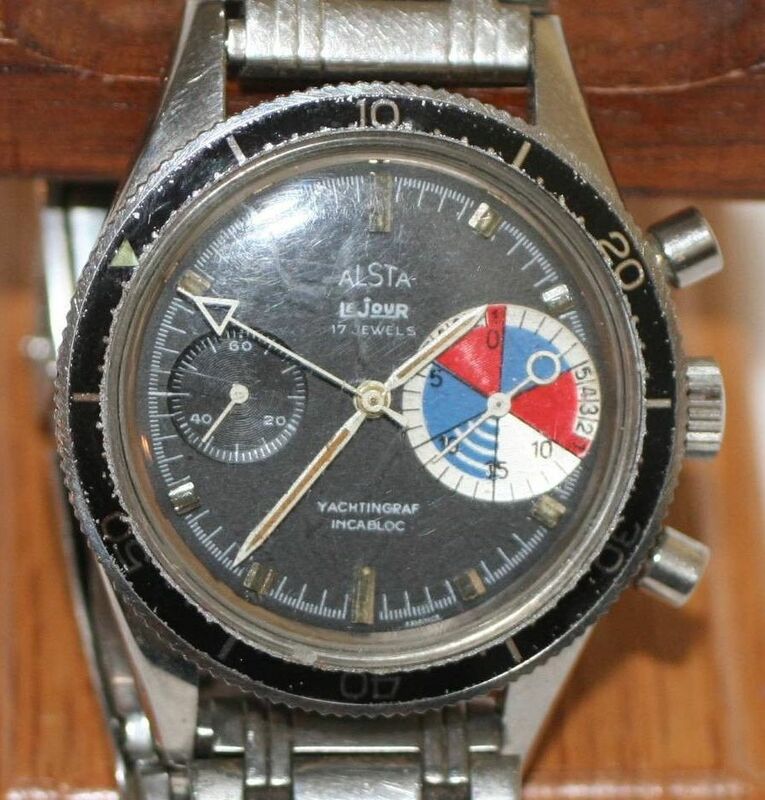 The brand seems to owned by Alstater Watch Corp. which was located in N.Y. since 1948. 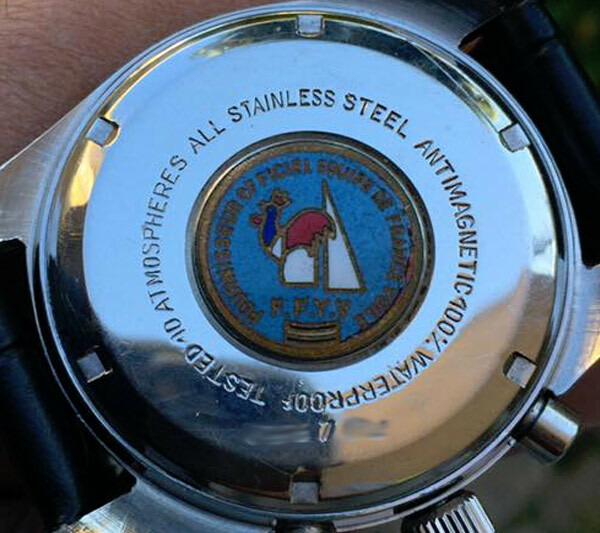 2-3 are of that co-branded ones seen till now. 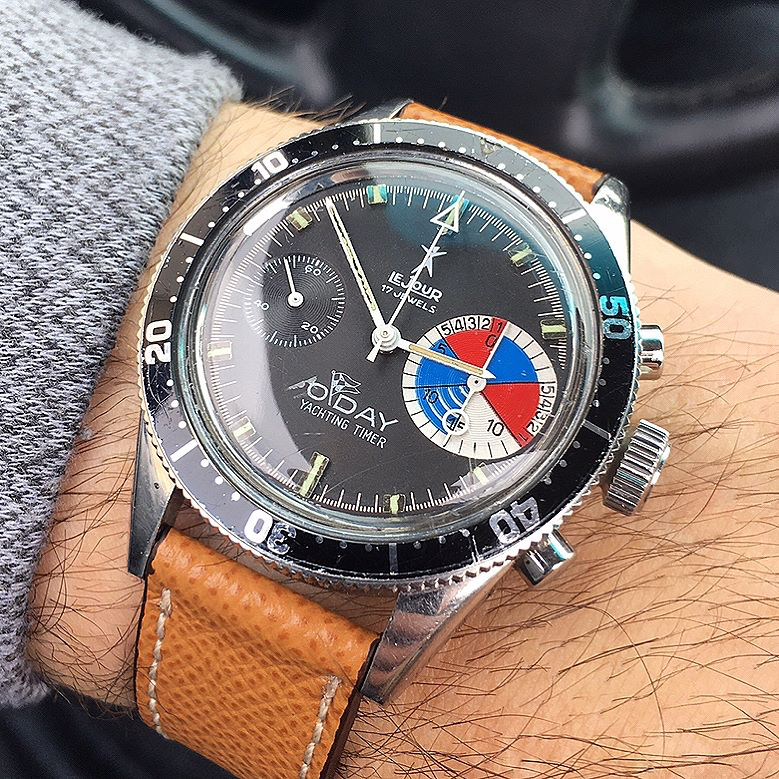 Justin found this cool 2Compax Yachtingraf with a co-branded dial from O´day Corporation. 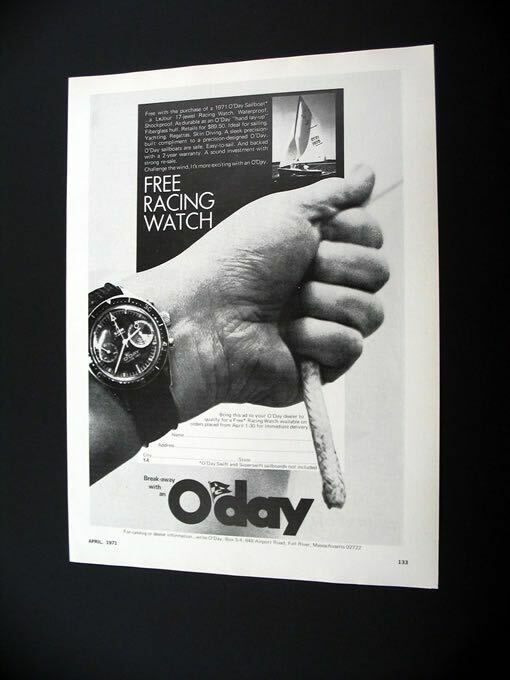 Luckily Justin found the commercial ad for the cmpaign to “get a free racing watch” with a purchase of a sailing boat. 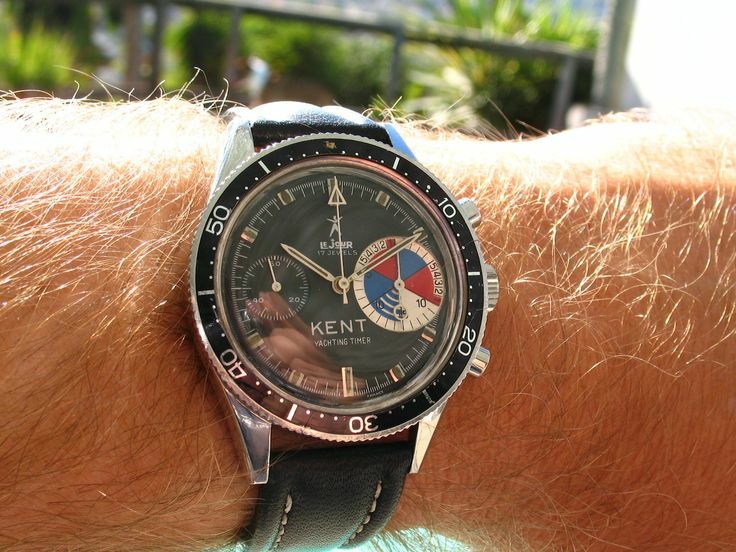 Just by chance found this LeJour with KENT Yachting Timer on the dial. credit: unknown. 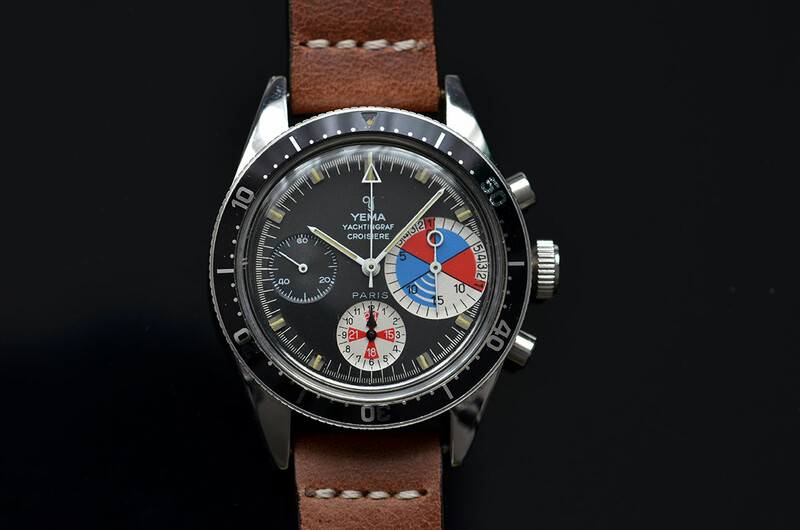 please give us a ping, if you are the owner! 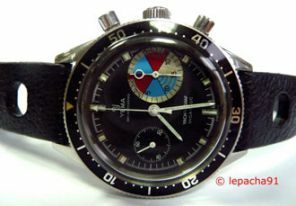 Watches with similar dials but in different cases, not really derivates of the Yachtingraf. Credits all by Mark. 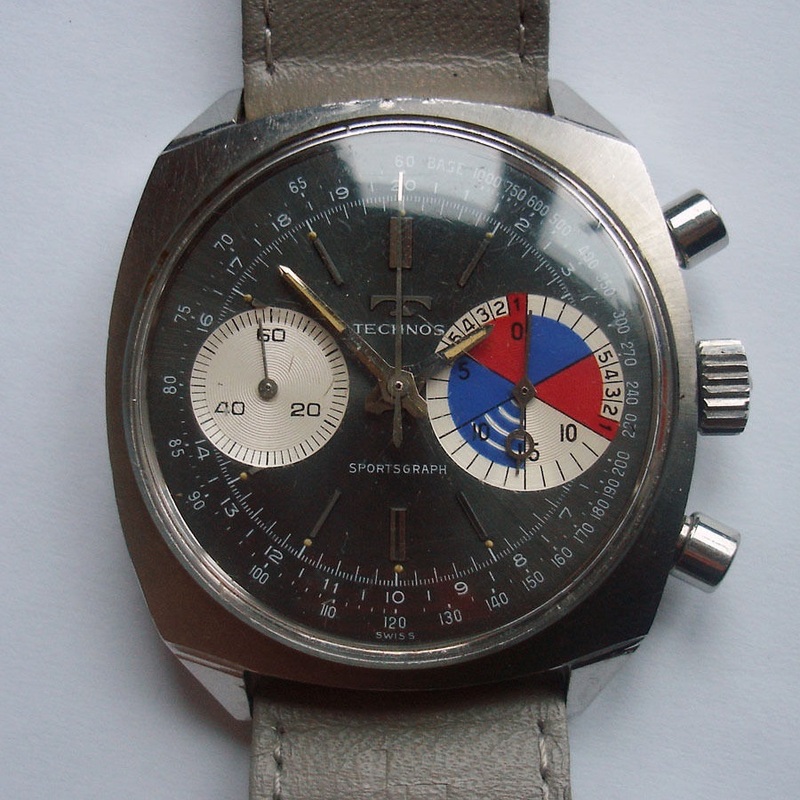 Different brands used the dials: Thermidor, Technos, Jaques Droz, Dichiwatch and some more. Just my point of view, please. Feel free to send my comments if you know something better. Just in case you looking for one to buy these points may help you. Wonder why 50% of all bubbles looks to 12 and the other half looks to 6? 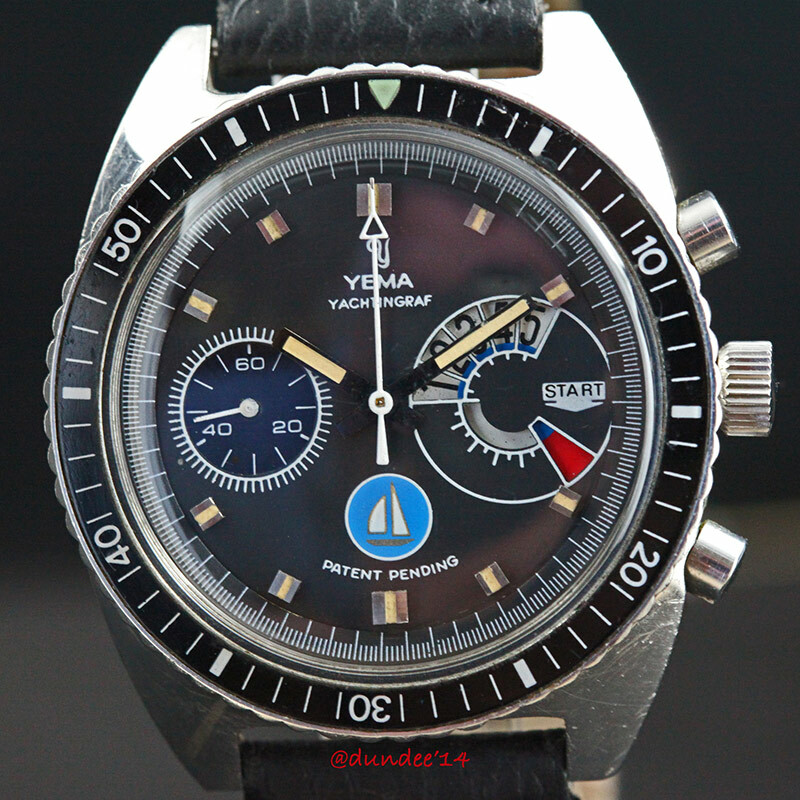 Simple explaination but very good usability for different types of the regatta countdown (5/10 or 15 min) you find here at the Club Yema, Jerry found out! 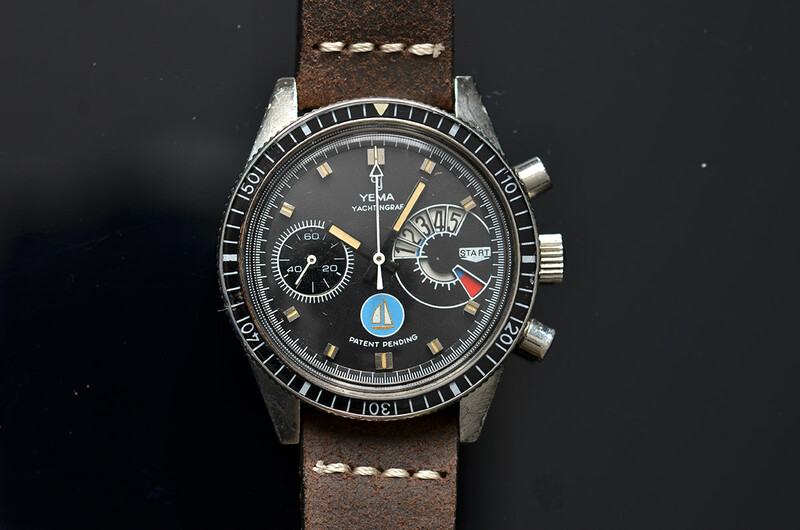 Just to know: Valjoux 7730 is the 1966 following movement to the Venus 188 (built from 1948-1966) after the take-over of Venus from Valjoux in 1966. 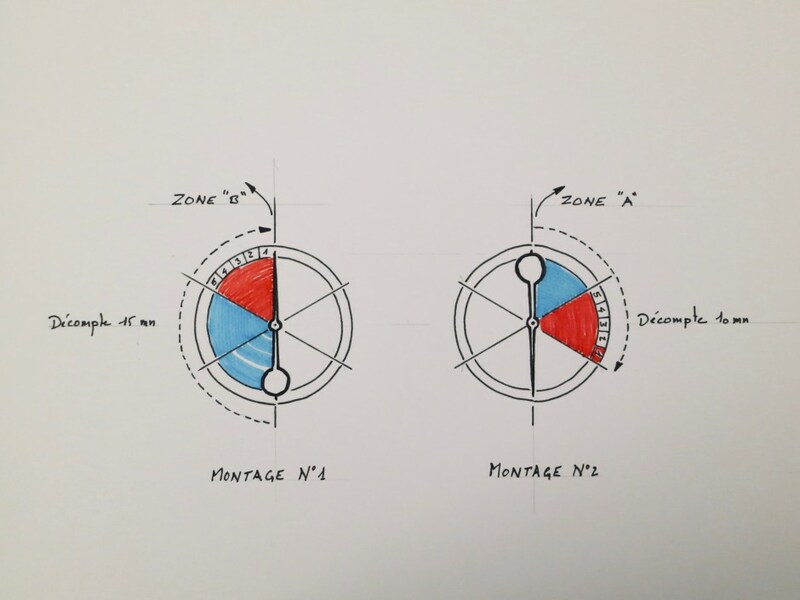 The main difference is the cheaper cam-switching instead of high-end column wheel. 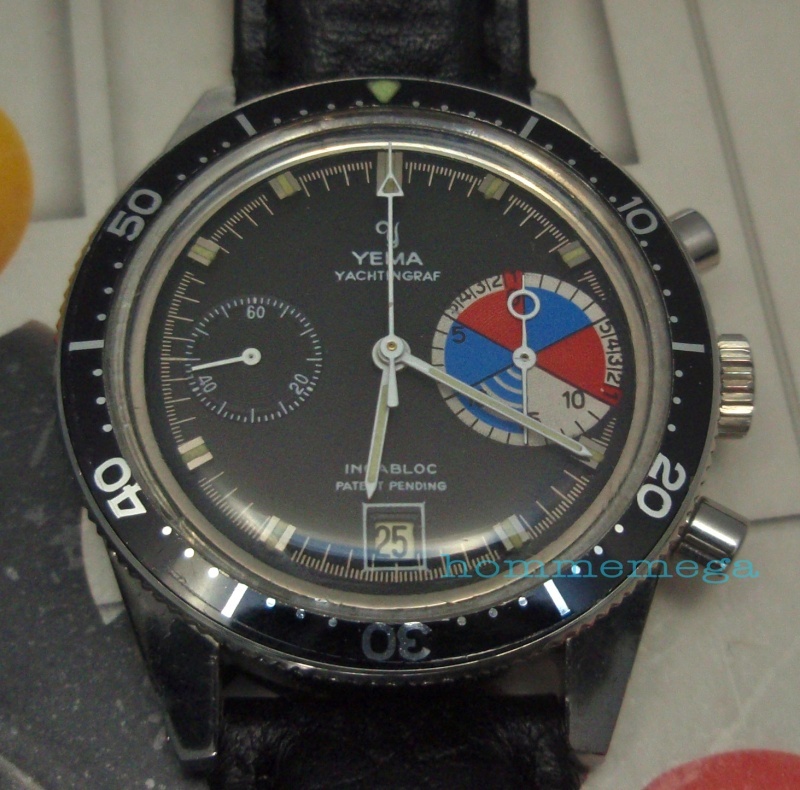 Yema was one of the first that uses the Valjoux 7730/7734/7736 as substitute for Valjoux 92/72. 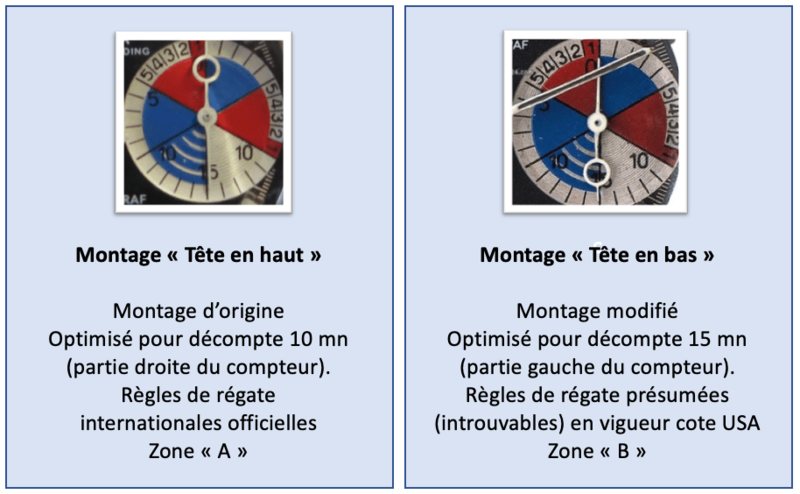 Trying to specify the production years with movements for the Yachtingrafs. 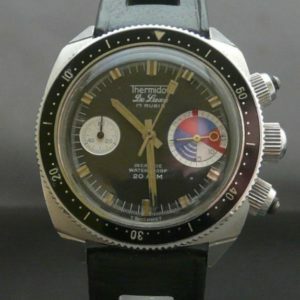 Help is needed here for the research. 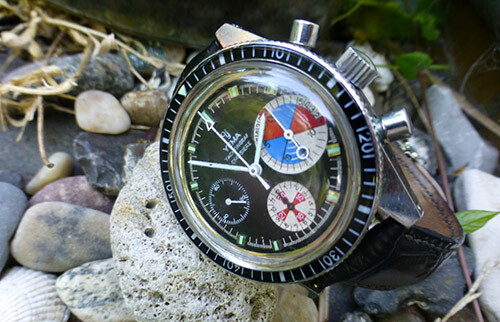 Next to the Yachting Chronographs there are the well-known Car-Racing Chronographs – the Rallygraf and the Chronograph for the pilots Flygraf (1970).